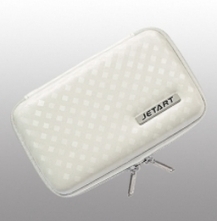 It is the first step to show your outstanding taste by having stylish items like the iPhone, iPad and iPod. The improper way or unfit collect bag to store accessories may cause lost or damage it, even it is costly to have a new one. For take care of those fine tools, you definitely need a professional accessories bag for it. 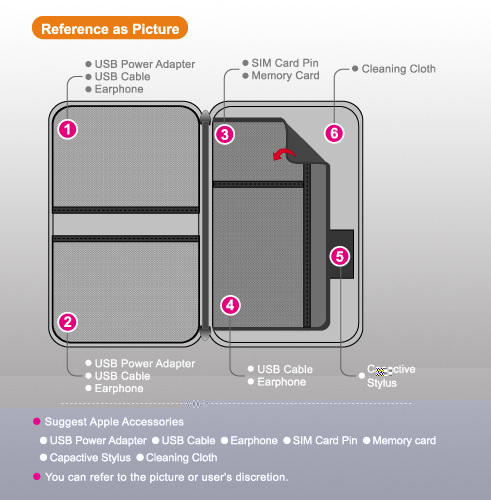 iPal IP6000 is a finest accessories bag which designed for iPhone, iPad and iPod. The surface layer is elegant PU leather and velvet interior. The solid shell separated the storage space for each accessory. It is not only easy to storage but also provide the completely protection. Compact and stylish designs make you feel convenient during the traveling without losing any of it. Besides, it provides with capacitive stylus and ultra-fiber cleaning cloth. It increases the efficiency on touching operation and keeps your product neat any time.